Using incredibly accurate and detailed topographical data captured and digitized by NASA’s Lunar Orbiter team, AstroReality has created a softball-sized replica of the moon that takes advantage of some of the best 3D printers on the market to recreate every last feature of our nearest celestial neighbor. The replica is hand-painted, but because the surface is 3D-printed, you can feel all of the moon’s craters as you hold it in your hand. It’s also made from a dense polyresin, and feels satisfyingly heavy when you pick it up. AstroReality is also creating replicas of other celestial objects in our solar system, including the Earth, in a nine-piece set that will set you back $129. 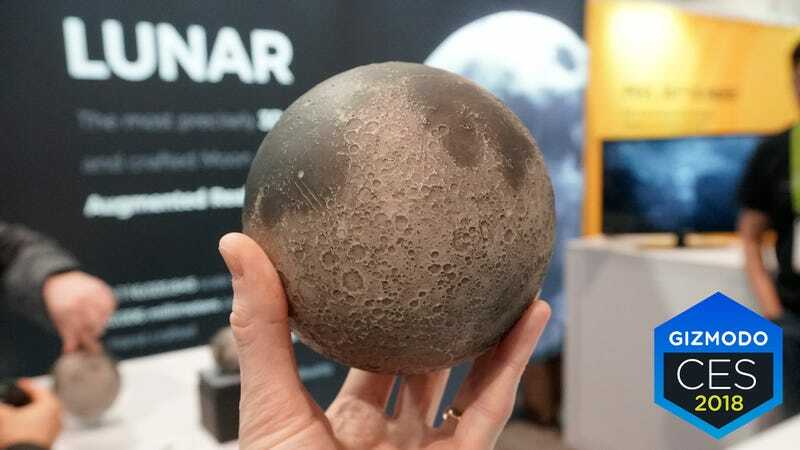 They’re considerably smaller and less detailed than the Lunar replicas (slightly smaller than a golf ball) and require the use of a special display stand for the augmented reality features to work. Whether or not the company produces larger versions of the planets remains to be seen, but hopefully one day you’ll be able to put the entire solar system on your desk.